Bonnie Lythgoe, Producer of CINDERELLA and current inmate in Channel 10’s ‘I’m A Celebrity Get Me Out Of Here’ is proud to announce she has found her ‘Prince Charming’. Hi5 favourite – the very handsome TIM MADDREN has been cast in Bonnie’s upcoming Panto CINDERELLA that will be presented at Sydney’s State Theatre from Friday 1 to Sunday 17 July. 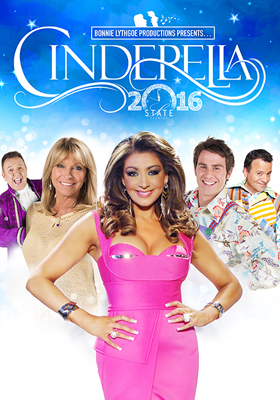 TIM MADDREN well known as a popular member of children’s group Hi5 joins ‘The Real Housewives of Melbourne’ favourite GINA LIANO (Wicked Stepmother), JIMMY REES (Dandini), KEV ORKIAN (Buttons), PETER EVERETT (Baron Hardup), Studio Ten’s CRAIG BENNETT & JOSH ADAMSON (Ugly Stepsisters) and lovely newcomer JAIME HADWEN as Cinderella. The magical rags to riches fairy-tale story of CINDERELLA will feature sumptuous glittering sets, gorgeous fairy-tale costumes, contemporary songs, fabulous dance numbers, riotous comedy magic and bags of audience participation. Bonnie Lythgoe Productions is Australia’s biggest family musical pantomime producer. CINDERELLA is the third panto produced by Bonnie Lythgoe after the success of Snow White Winter Family Musical in 2014 followed by Aladdin and His Wondrous Lamp last year. Bonnie has been staging pantos in the USA for a number of years. Well known for her creativity and involvement in global television hits “American Idol” and “So You Think You Can Dance”, Bonnie is dedicated to bringing affordable theatre to families across Australia by presenting fun, musical theatre that the whole family from the age of 3 to 103 can enjoy.